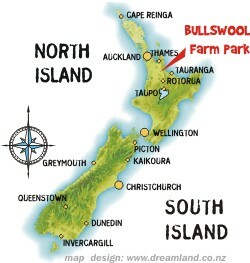 Bullswool Farm Park is in the Karangahake Gorge, off State Highway 2, between Paeroa and Waihi.  Bullswool Farm Park is 90 minutes from central Auckland, travelling South on State Highway 2. We are 50 minutes from Hamilton and 60 minutes from Tauranga. Matamata's Hobbiton is 45 minutes from the farm. Waihi Beach, one of New Zealand's most popular beaches, is only a 25 minute drive away.